Teaching and learning has been Sha’ari’s lifeblood. Upon completing his secondary school and subsequently earning a Diploma in Agriculture (KPM) Sha’ari worked as an extension agent, promoting good farming and business practices among farmers in the Rice Bowl of the country for 4 years. He reckon that he needed to propel himself up and thus moved to the capital city to seek better opportunities. He was fortunate to be employed by the Agro Bank whose CEO was sympathetic of his desire for further education. From then on Sha’ari remained close to learning and teaching till this very day. He earned his BSc Agribusiness (KPM) 1977; MBA (MSU) 1980; and DBA (MSU) 1986 as adult learners, juggling his time in discharging family responsibilities, work commitments and class schedules during the period. For his DBA Sha’ari majored in Finance and minor in Economics and Marketing. To-date Sha’ari had cumulated 38 years of work experience as an academician – 20 at UPM and 18 at (OUM). At UPM, apart from teaching Sha’ari had been very much involved in training; entrepreneurship and SME development; and Islamic Accounting and Finance. 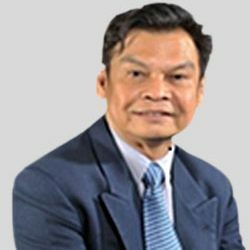 In term of administrative responsibilities Sha’ari shouldered various positions, namely: Coordinator of Small Business Development Centre; Head, Department of Accounting & Finance: and Director of Training, of the then Malaysian Graduate School Management. At OUM, Sha’ari experienced partaking in the process of establishing and managing the growth of OUM in a complete Product Life Cycle (PLC); from introduction through to Maturity; and undertaking various activities to extend the life s of the company’s products. Also, he was instrumental in applying the BCG Matrix to strategically manage the available products on offer. During the course of his engagement at OUM, Sha’ari was promoted from his initial position as Dean of Business, to Dean of Graduate School, to Deputy Vice President of Institute of Teaching & Learning Advancement and Vice President (Academic) of OUM. As an academician Shaari climbed up the ladder as a Professor in 2004 and a Senior Professor in 2015.